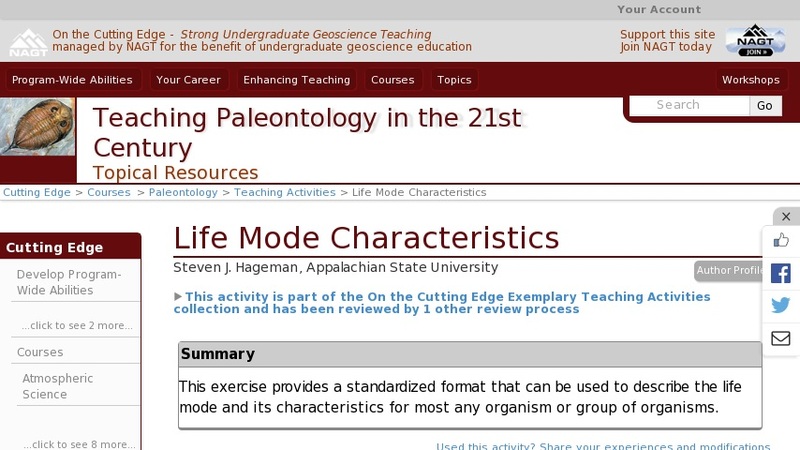 This exercise provides a standardized format that can be used to describe the life mode and its characteristics for most any organism or group of organisms. This format is used (reinforced) in many other exercises as the context for comparing and contrasting clades within and among systematic groups. The classification also provides a context for discussing patterns and trends in evolution and ecology.